Participation in the Stage Management Fellowship provides students with a wonderful way to engage with and learn from active industry professionals, showcase their talents, receive personalized feedback to assist in their continued development, and interact with and learn from other young stage managers. The fellowship is intended to give you additional tools to refine your skills as a stage manager while also expanding your network and helping to create lasting connections. Finalists for the Stage Management Fellowship are selected from throughout the region and will receive an invitation to participate in the Region 8 Fellowship. 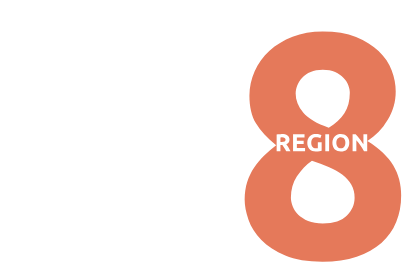 Based on participation in the regional festival, one regional participant will be awarded a fellowship to attend the national festival and participate at the Kennedy Center in Washington, DC. Personal demeanor and communication skills based on interviews and at workshops. For additional information regarding the Fellowship, please refer to the National Stage Management Fellowship Guidelines. or a continuing part-time student enrolled in a regular degree or certificate program. Undergraduate, graduate, and continuing part-time students must be matriculating and pursuing a degree at the time of the KCACTF official response. Students are able to participate after graduating, provided the official response to the participating production was provided at a time when the student was still enrolled. Student stage managers must be nominated by the director of the production they stage managed or their faculty advisor if the director was a student or visiting artist. Deadline for application is January 15. All materials must be received by the Stage Management Coordinator by this date. Familiarize yourself with the National Stage Management Fellowship Guidelines. Request a nomination from your director or faculty stage management advisor. They should complete the nomination form found on this webpage. Submit the following materials to the Stage Management Coordinator prior to the deadline. Letter of intent, written solely by the student. This letter should answer the questions below; however, this is your first chance to make an impression. Let your personality show. Please give a brief explanation of your experience as a stage manager. What do you enjoy about stage management and why do you hope to continue doing it? Why do you want to participate in the Fellowship? For a complete description of guidelines and requirements, please visit National Stage Management Fellowship Guidelines. Finalists will be selected from the nominees and informed prior to Festival. Each finalist will be interviewed at festival by a panel of regional judges, and asked to participate in a series of workshops at festival designed to increase their knowledge of the craft. One student from Region VIII will be invited to the national festival, held at the Kennedy Center for Performing Arts, in Washington DC in April. Additional information on the National Stage Management Fellowship can be found at www.kcactf.org.